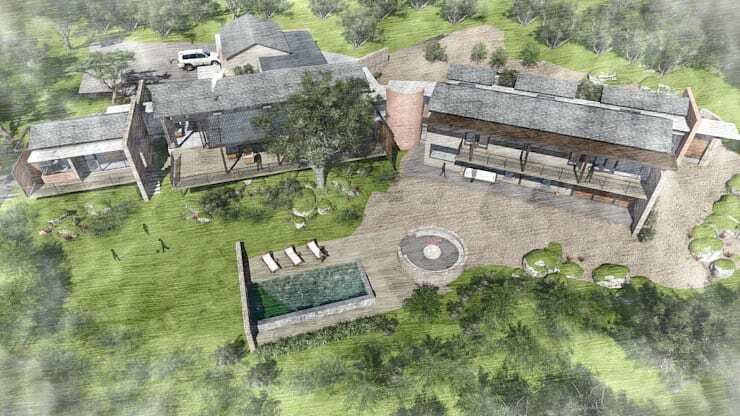 Today on homify 360°, we set off to Nelspruit to scope out an ultra modern house situated in an amazing bushveld site. 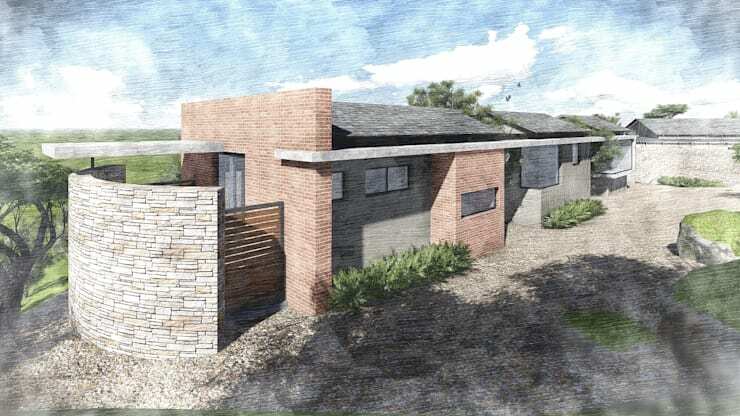 Imagine rocky outcrops, dense trees, lush grass fields and a stretched-out landscape – doesn’t that sound like the perfect location for your dream home? And by “dream home”, we mean a 5-bedroom creation that offers up spacious layouts, a great big yard, a swimming pool, modern materials, and various terraces and balconies to make the most of that sublime view surrounding the house. The architects in charge of this structure clearly know how to pick the right materials to ensure a striking façade – exposed brick, raw stone, sleek metal, rustic timber and glass all combine to conjure up a most eye-catching vision which is part rustic, part modern, part industrial, yet full-on stylish! The fascinating location only really hits you once you scope out the back yard. 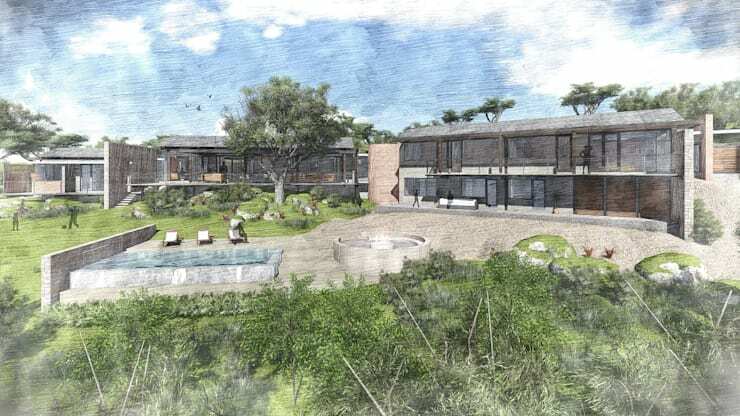 Grass, trees, rocks – it looks like they were all planted here just to enhance this fantastic house’s bushveld views. 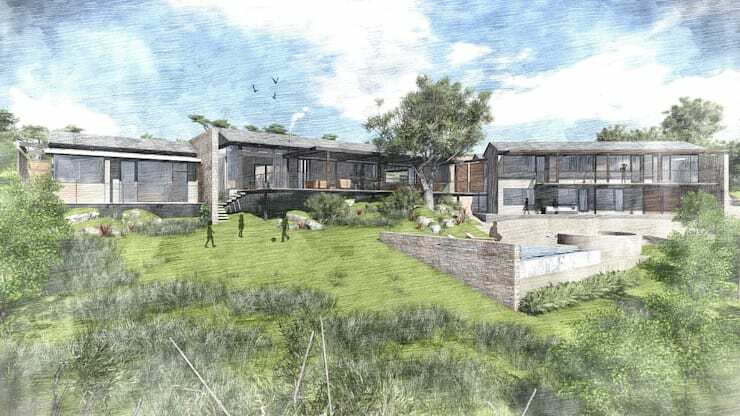 And speaking of views, notice how the rear side of the house opens up onto the landscape, with numerous glass doors and windows helping to bring the view and sunshine indoors. To keep the little ones entertained, the back yard presents more than ample playing space on a sloping plot with numerous rocks and shrubs strewn everywhere. A plain flat-levelled lawn would have been just too dull, don’t you agree? A house in such a pristine location will undoubtedly want to make the most of its views, which is exactly why these architects opted to include as many spots and surfaces which could enhance a link between the indoors and outdoors. 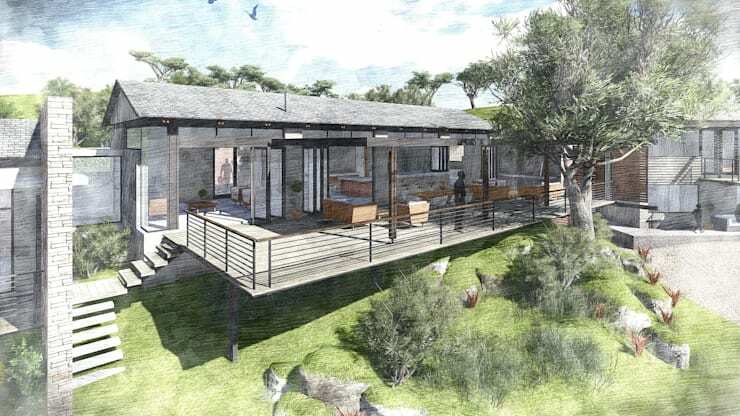 Case in point, this fabulous terrace which not only looks out onto the bushveld, but is also big enough to ensure a prime relaxation and/or socialising spot for the homeowners and their friends. Who’d want to be cooped up indoors here? To conclude our tour, we check out an aerial view of the entire house – and only now does the full size of this magnificent house hit home. Not only does this house flaunt a myriad of rooms comfortably spaced out from one another, but it also ensures a spacious yard perfect for outdoor socialising – don’t overlook the stone-clad swimming pool! A truly remarkable home in a breathtaking location. From the bushveld to something more nautical, check out The South African beach villa.